The gospel of Luke contains specific details regarding Jesus’ birth in Bethlehem of Judea. One of the things mentioned in this narrative is that he was placed in a “manger” (Luke 2:7, 12, and 16). 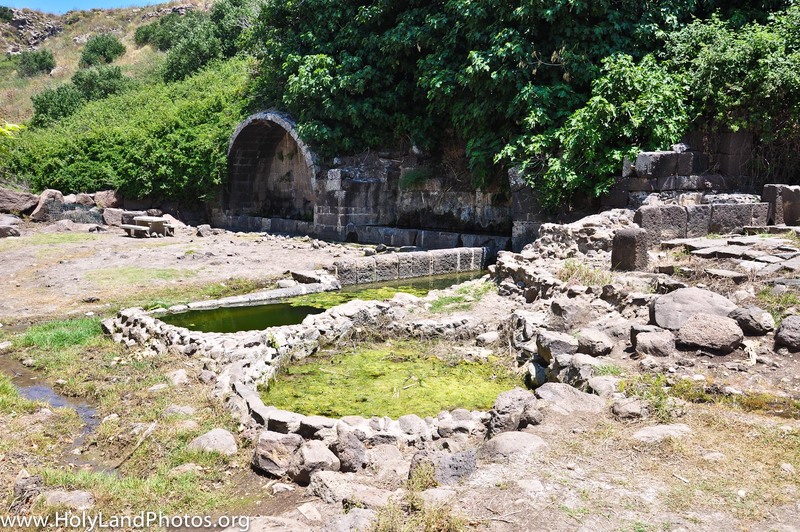 Feeding trough from Megiddo that is located on the edge of the Jezreel Valley. So Joseph also went up from the town of Nazareth in Galilee to Judea, to Bethlehem the town of David, … and she gave birth to her firstborn, a son. She wrapped him in cloths and placed him in a manger, because there was no room for them in the inn. And there were shepherds … find a baby wrapped in cloths and lying in a manger … found Mary and Joseph, and the baby, who was lying in the manger. 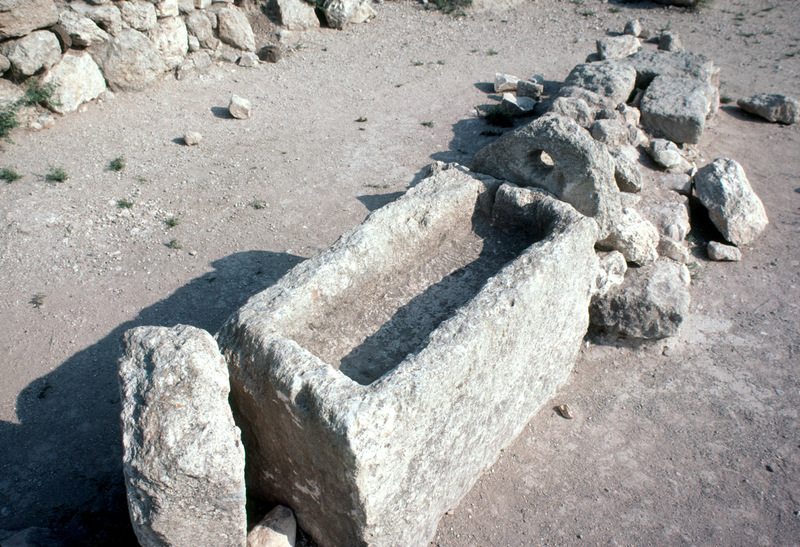 The Greek word φαντη that is used here typically refers to a stone type trough that was used for feeding of animals—sometimes in the stalls within a dwelling. This word is used once more in the Gospels (Luke 13:15) where it refers to a “stall” (NIV), actually a feeding trough, for a donkey—and it is clear from the context that this was within a house (Luke 13:10–17). Reconstructed feeding trough from Megiddo—in the Rockefeller Museum in Jerusalem. The Lord answered him, “You hypocrites! Doesn’t each of you on the Sabbath untie his ox or donkey from the stall (φαντη; “manger“) and lead it out to give it water? It appears that after the birth of Jesus, that he was actually placed in a feeding trough somewhat similar to the ones presented here if not ones that were carved into the stone floor of the “stable”—a far cry from the rickety wooden “mangers” of Christmas pageants. 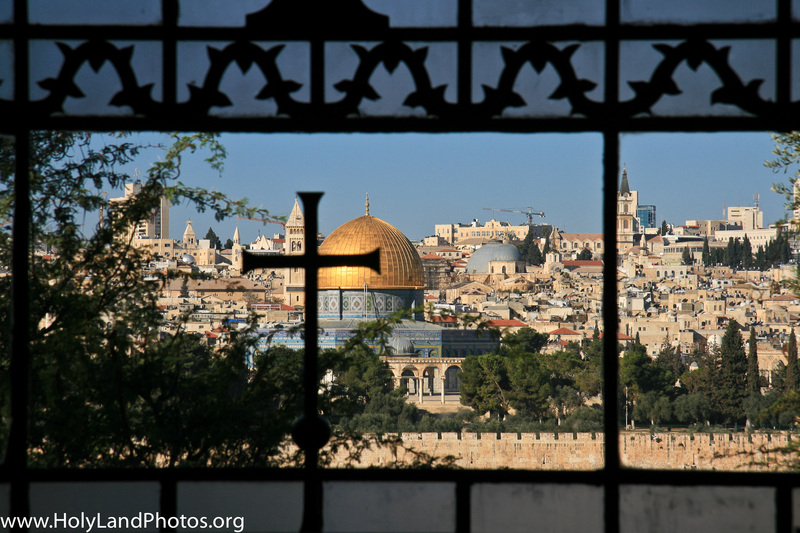 For details on this topic see Kenneth E. Bailey Jesus Through Middle Eastern Eyes — Cultural Studies in the Gospels. Downers Grove, IL: InterVarsity, 2008, pp. 28–32 as well at the various Greek lexicons. As Christmas approaches, I thought I would repost a few “blogs” that are related to the celebration. 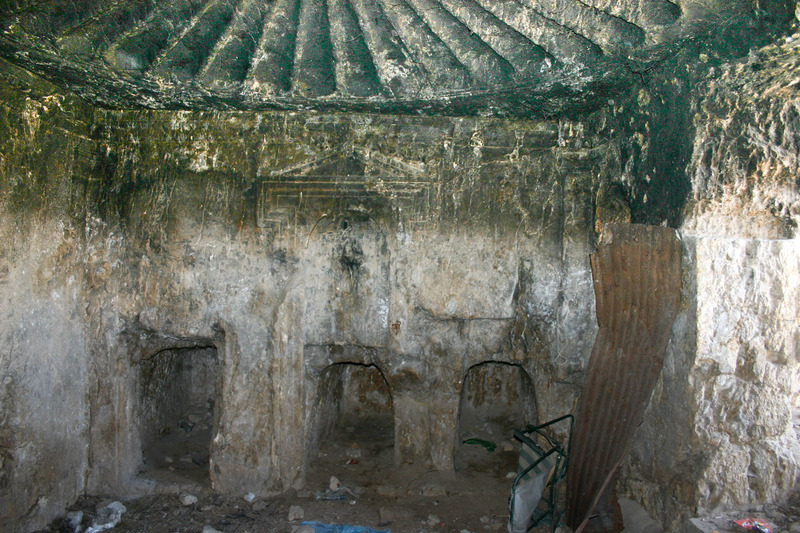 In a past issue of the Biblical Archaeology Review the process of the reconstruction of the synagogue at Umm el–Kanatir was described. 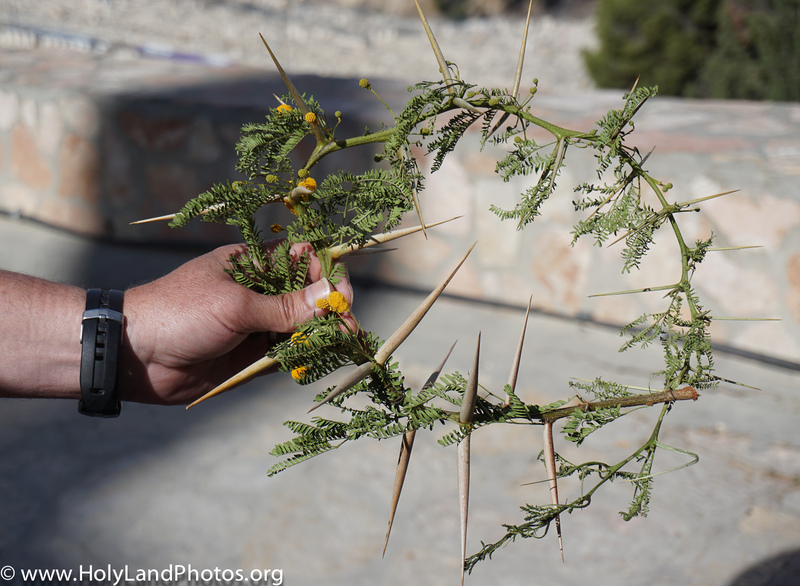 The following are some images of the site. Additional images of this interesting synagogue can be viewed on my website. 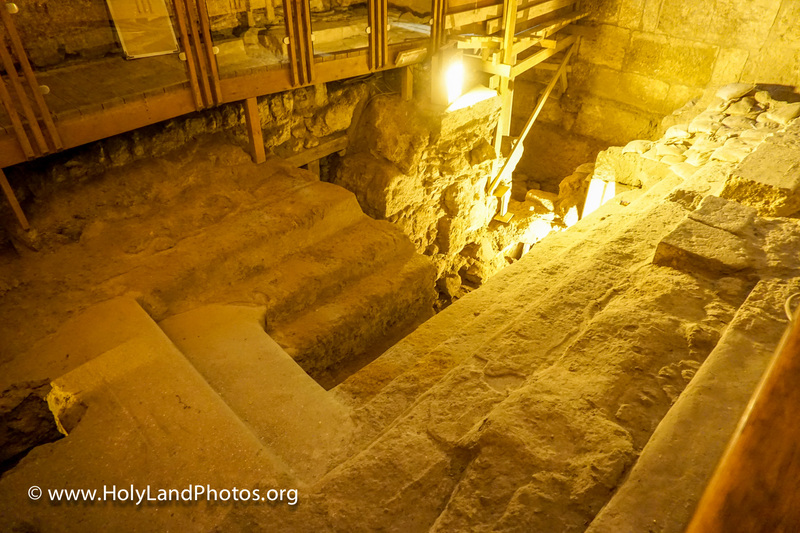 See HERE for a recent Jerusalem Post article on the synagoguge. Umm el–Q/Kanatir (The Mother of the Arch) is a site located on the upper reaches of the Wadi Samekh, 5 mi. [8.5 km.] east of the Sea of Galilee on the Golan Heights. 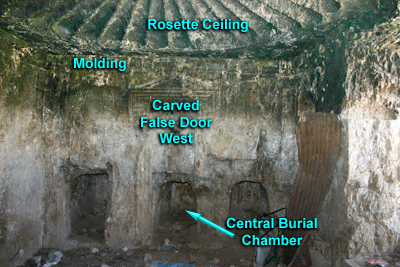 It boasts one of the best-preserved ancient synagogues in the land—90% of the remains (collapsed) were still in place after the earthquake of AD 749. 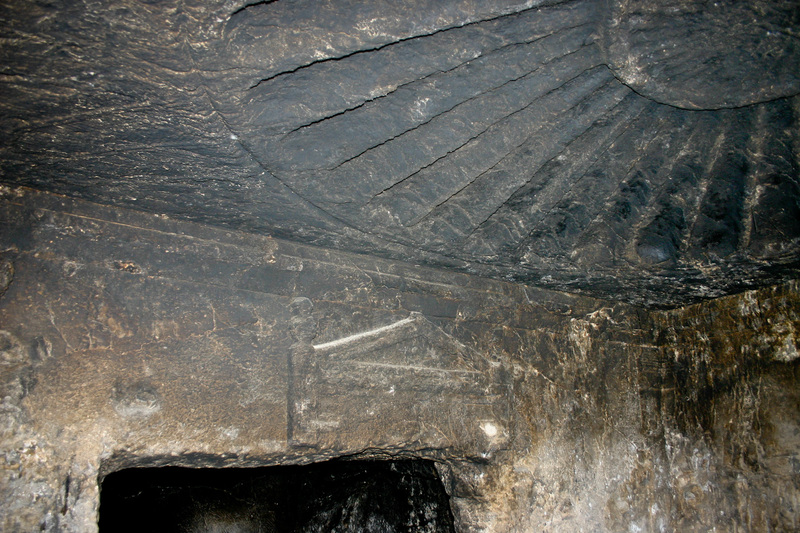 It is in the process of being reconstructed (anastylosis) by Yehoshua Dray and his colleagues. The village—ancient name not known—was constructed in the fourth or fifth century AD and was destroyed by the devastating earthquake of AD 749. 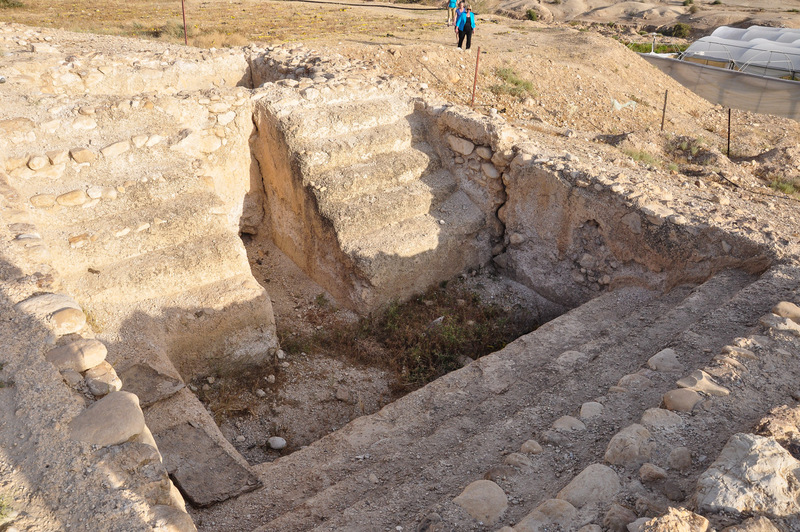 In addition to the synagogue, remnants of a flax processing installation have been discovered by the spring in the village. 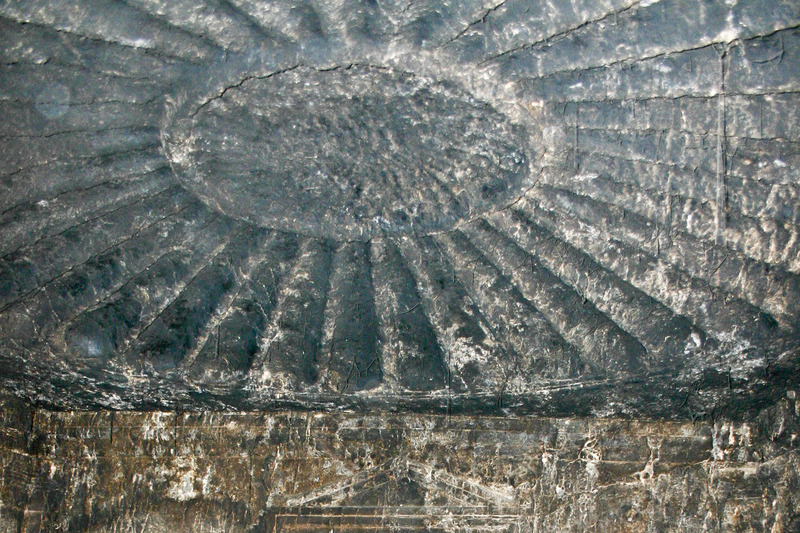 To view additional high-resolution images of Umm el-Qanatir Click Here. 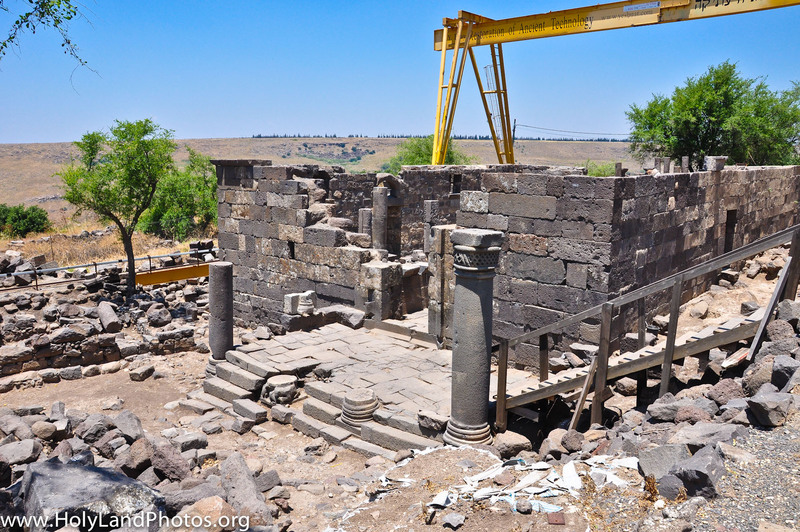 For additional information about Umm el–Q/Kanatir see Yeshu Dray’s web site and Singer, Suzanne F. “Rising Again — Hi–tech Tools Reconstruct Umm el–Kanatir.”Biblical Archaeological Review vol. 33, no. 6 (November/December, 2007): 52–55, 59. For the recent article see: Ben David, Chaim. “Um [sic] el–Kanatir — Putting Humpty Dumpty Back Together Again.” Biblical Archaeological Review 42, no. 4 (July/August 2016): 40–49. See also the recent Jerusalem Post article. It is well–known that in Old Testament times that the “elders” of a city often would congregate at the gate of their city for a variety of functions. 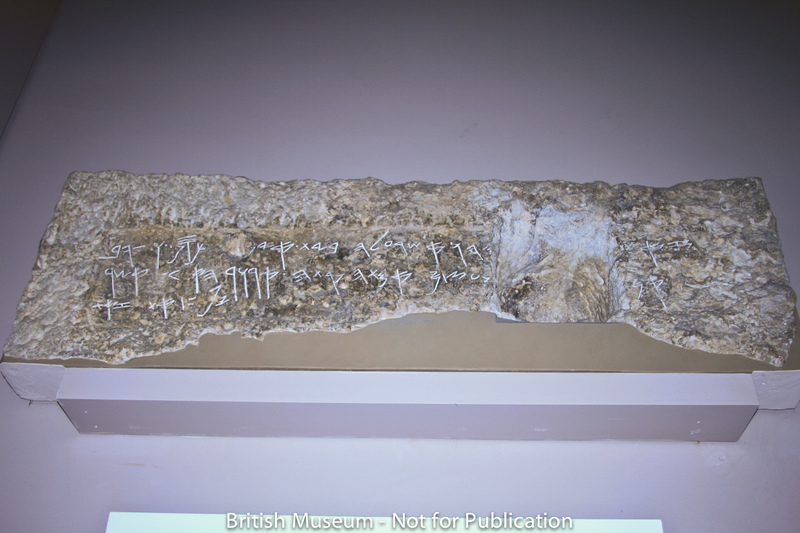 But it must not be forgotten that kings often made themselves available to their subjects and performed some of their duties there (see below). 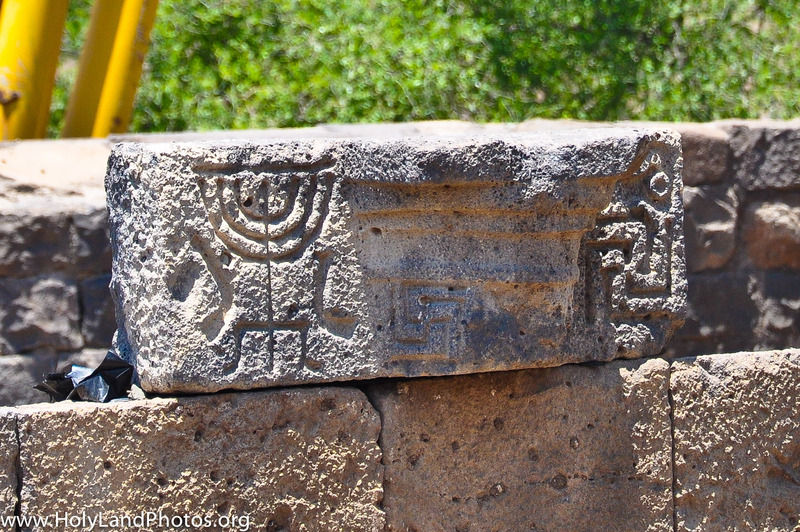 One of the many interesting discoveries made by Avraham Biran was a podium and column base that was located at the gate of the northern city of Dan. 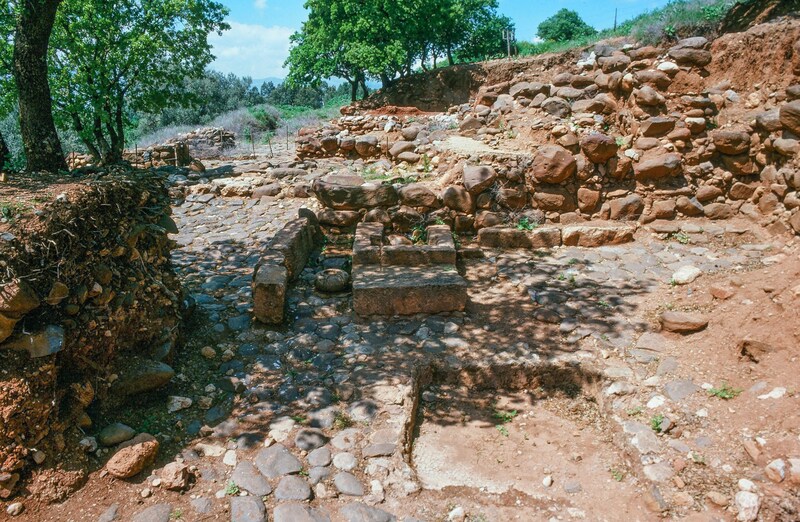 View looking west at the (reconstructed) podium that Avraham Biran discovered at the city gate of Dan. Click on image to Enlarge and/or Download. 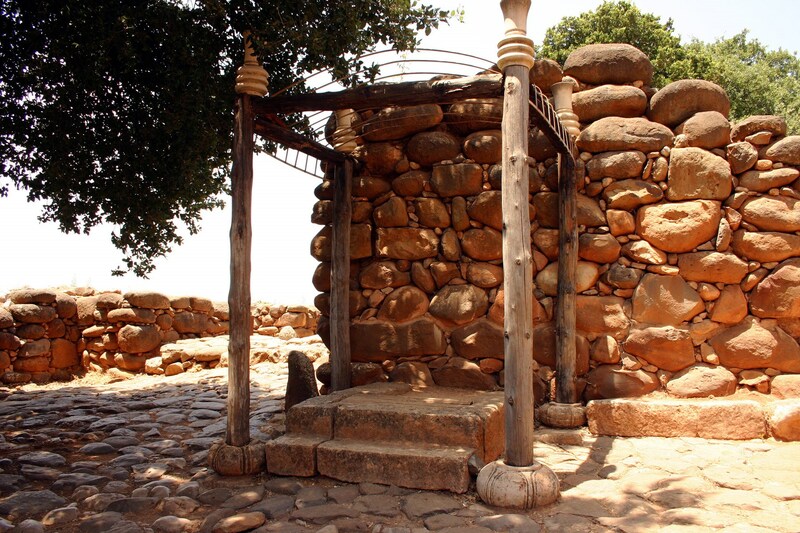 It is very possible that the king, or some other official, sat on this podium hearing legal cases (2 Sam 19:8). 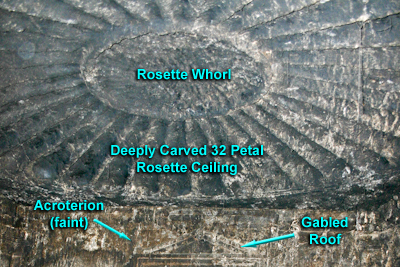 The decorated stone bases at the corners of the podium supported columns as the reconstruction illustrates. View looking west at the podium (prior to reconstruction [compare photo above!]) 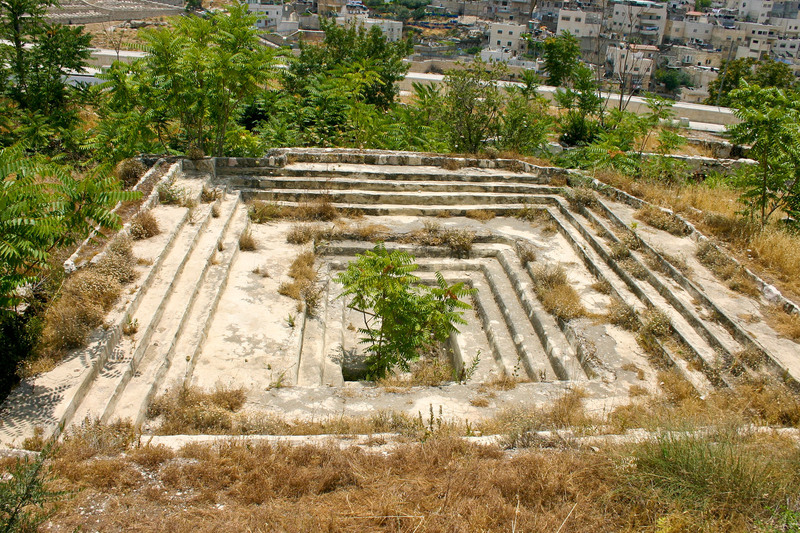 that Avraham Biran discovered at the city gate of Dan. This image has been posted courtesy of Balage Balogh. It may NOT be used on any other web sites, DVDs, or for any commercial purposes without the expressed written consent of Balage Balogh. 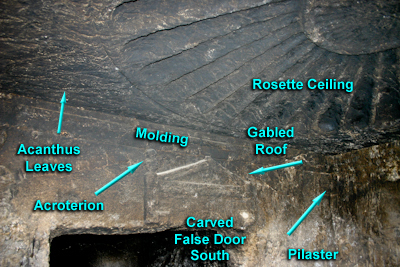 His images can be viewed at http://www.archaeologyillustrated.com. A realistic drawing of the Iron Age Gate area at Dan. The view is from outside of the gate on to a plaza that is located between the outer and the inner portions of the gate. On the far side of the plaza note the podium where the king could sit (red and white). To the left of the podium is the archway of the inner gate. 2 Sam. 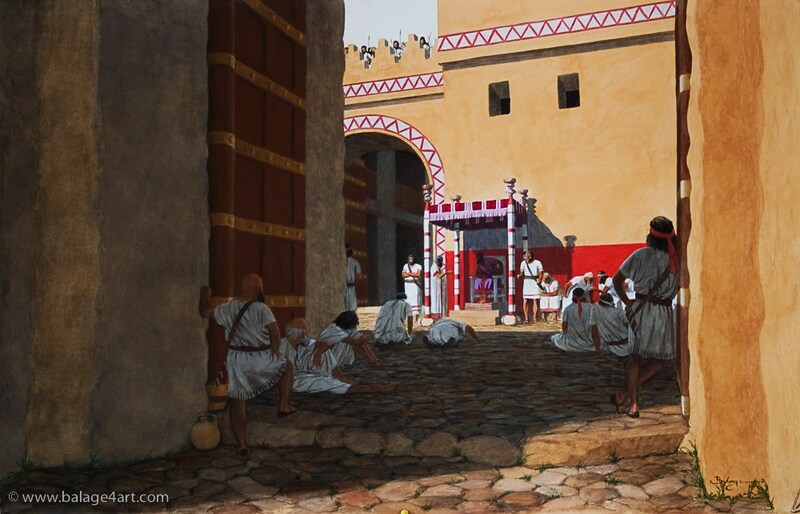 18:4 The king [David] stood beside the gate while all the men marched out in units of hundreds and of thousands. 2 Sam. 18:24 While David was sitting between the inner and outer gates, the watchman went up to the roof of the gateway by the wall. As he looked out, he saw a man running alone. 25 The watchman called out to the king and reported it. 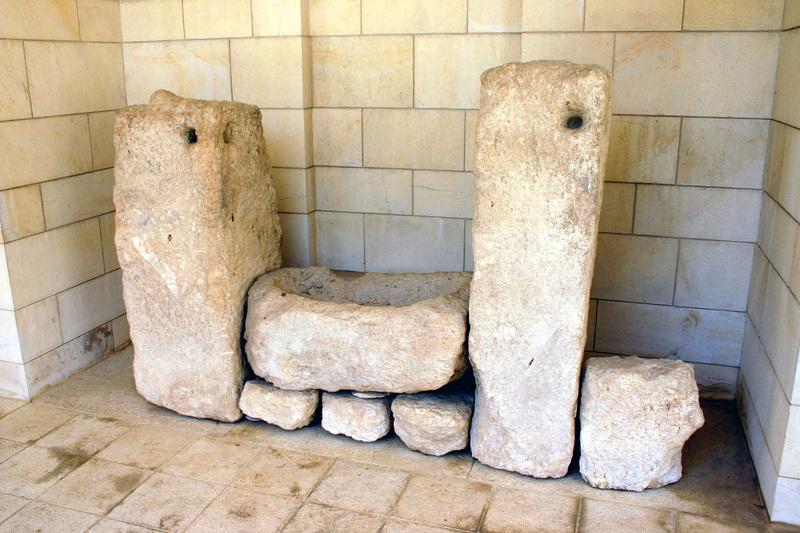 From a previous post, the 6–chamber gate at Megiddo. Notice the towers and rooms above the inner city gate. 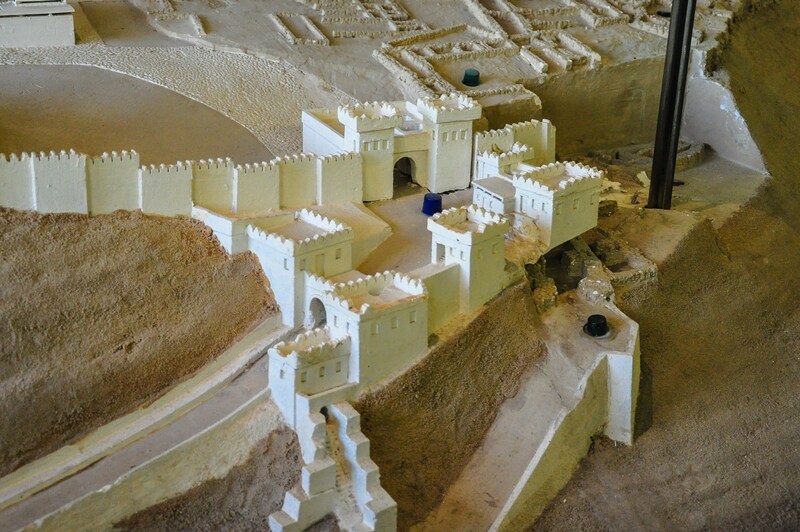 Later during the Israelite and Judean monarchies Ahab and Jehoshaphat sat at the gate of Samaria (Ahab’s capital) where they were deciding whether or not to go up to battle the Arameans at Ramoth Gilead. 1 Kings 22:10 Dressed in their royal robes, the king of Israel [Ahab] and Jehoshaphat king of Judah were sitting on their thrones at the threshing floor by the entrance of the gate of Samaria, with all the prophets prophesying before them. 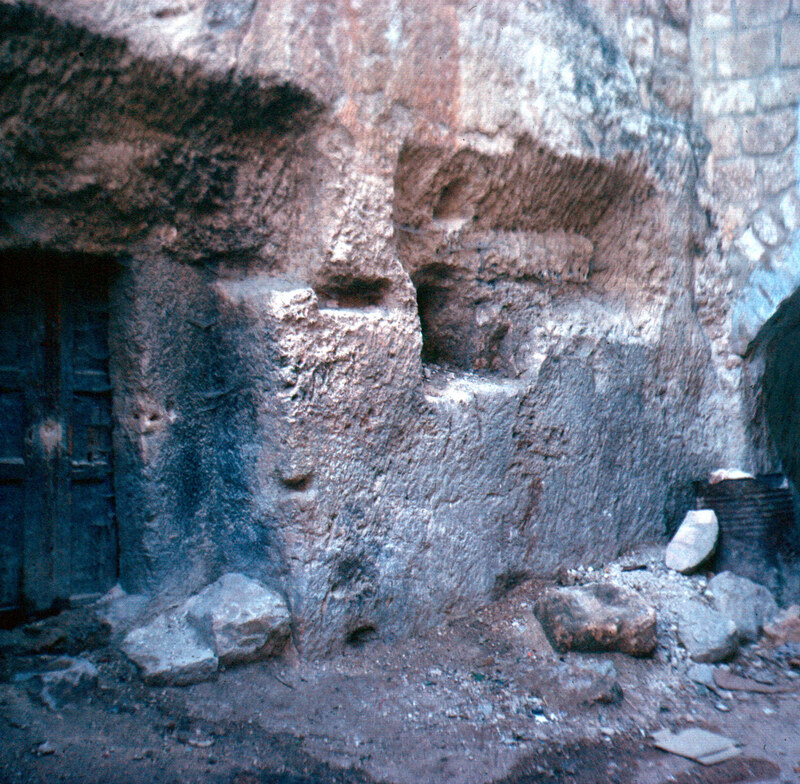 It was also while sitting at the Benjamin Gate in Jerusalem that Zedekiah, the last Judean king, received word that Jeremiah had been imprisoned in a cistern!